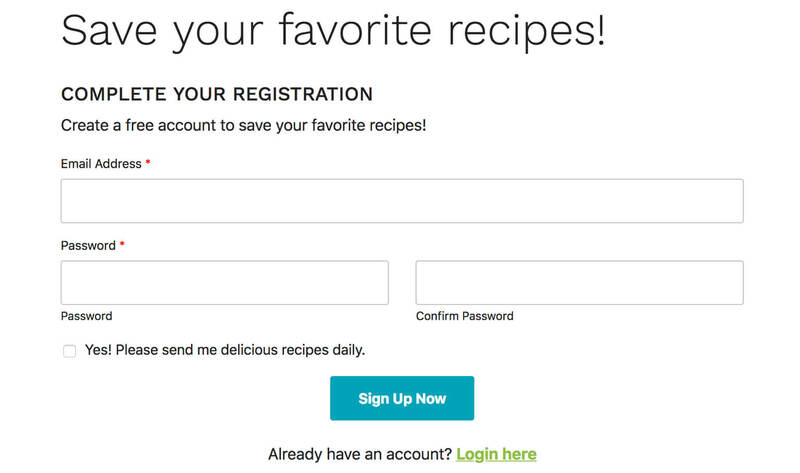 Throughout the site we feature a “Save Recipes” CTA that encourages them to signup by providing an email. After filling out this form, they are redirected to the actual registration form and the “Email Address” field is pre-filled. The code below passes along all the filled out fields to the following form. 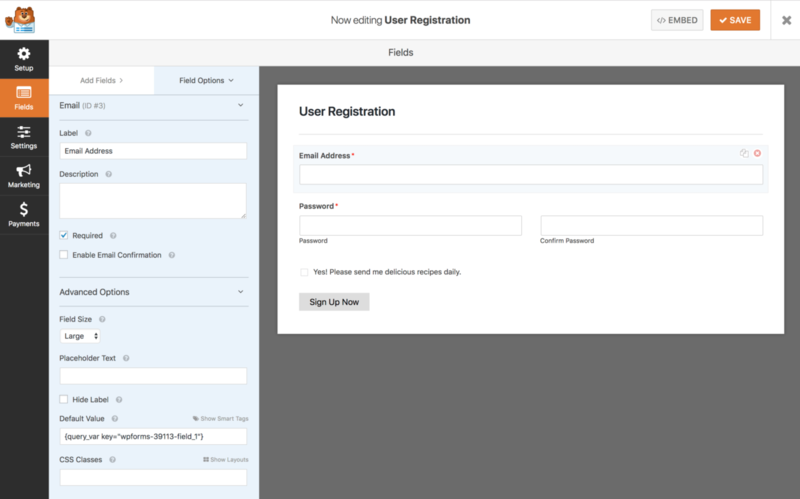 Create form 1 (“Complete Your Registration” above) and embed it on a page. 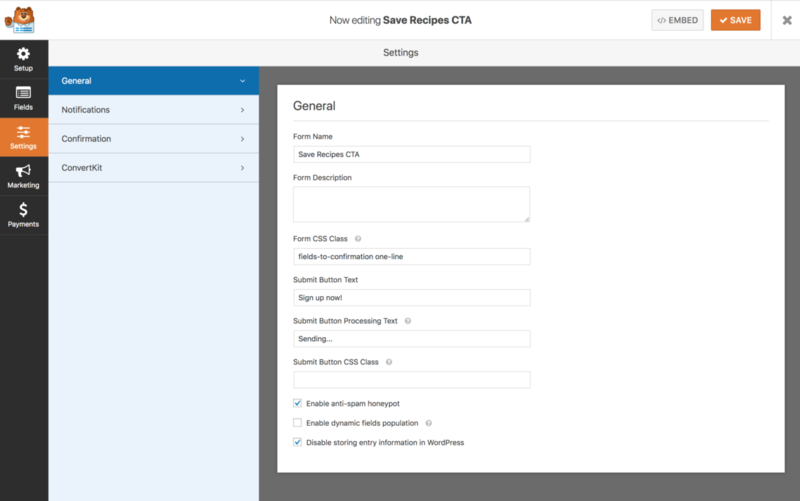 Create form 2 (“Save Recipes” above). 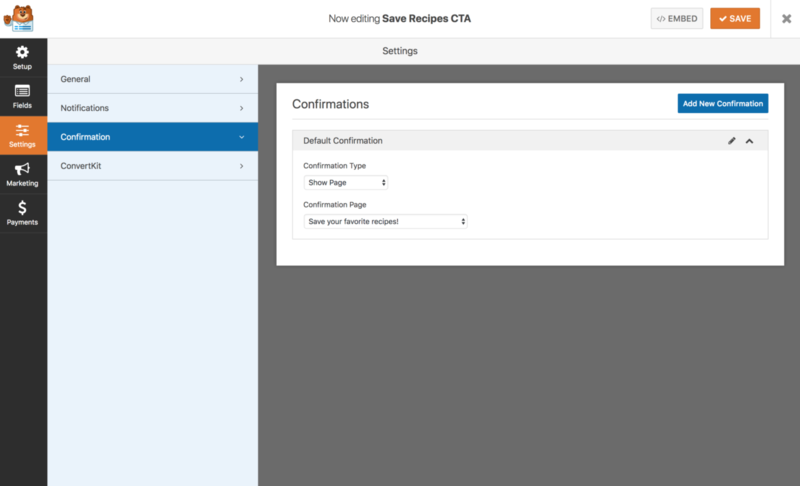 Add a form class of fields-to-confirmation, and set the “Confirmation” to the page containing form 1. You may also want to check “Disable storing entry information in WordPress”. Click the screenshots below for more context.